From my first read of the British Film Festival program my pick of the festival, among many highlights, was Mr Turner. 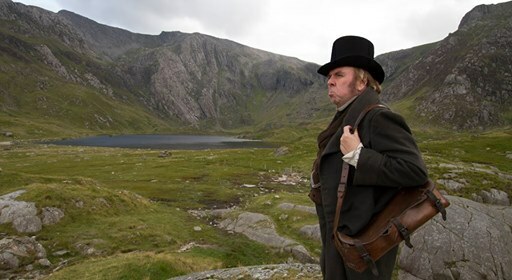 The film has already garnered many awards for the lead actor, Timothy Spall. This historical drama documents the life and times of the later years of Joseph Mallord William Turner (23 April 1775 – 19 December 1851). The celebrated artist was famous in his own lifetime. Revered and reviled at different times in his career. His landscapes were a revelation. He was known as the painter of light, with his last words reportedly being 'The sun is God'. His later works were the subject of considerable controversy and even ridicule as Turner developed his more abstract style. He is seen in the film being very tactile with his paint, even spitting on his canvas to make an effect. 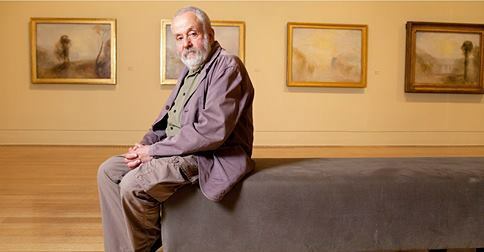 His artwork required many layers of expertise and the accuracy of some of the films methods in describing his painting technique could be questioned. Speaking to others about the film prior to its release I noted many had no knowledge or context of this artist. This is despite Adelaide being privileged to host a large-scale exhibition at the Art Gallery of SA in 2013. So it is with pleasure and hope that the film Mr Turner may introduce this artist to yet a wider audience. This biopic does not attempt to gloss over the man, his art, the times or his temperament. On screen we see a grunting and gruff man, often callous, indifferent and eccentric. We see a portrait of obsession and self-absorption. There is pain and grief at the loss of his father, who gave him unconditional love and service. Also the strange relationships with the women in his life. Arriving at the cinema to get the last two tickets to the screening I sat in the very front row. Where every mannerism and scene was writ large. It was like being totally immersed in a Turner painting. Floating soft pink skies, seaside baskets brimming with fishes, little boats adrift on a dark glass sea. Black silhouettes against vivid skies. With every street and costume looking lived in, this is consummate film making. Faces showed frailty and disease. Director Mike Leigh captures the people and places of the mid 1800's life in England. At no time does this film look like a film set. Part of the joy in the cinema is disappearing into another century. The film is a window of the times, with the winds of change shown. As the new railway is being built and photography becomes available. The old ways of treating the sick are meted out. In a charming scene a doctor advises treatment for an ailing Turner 'it is the three B's, bed, balsam and broth. There is not a great deal of narrative. The film explores an artist at work, his loves, hates, naked ambition and ambiguities. 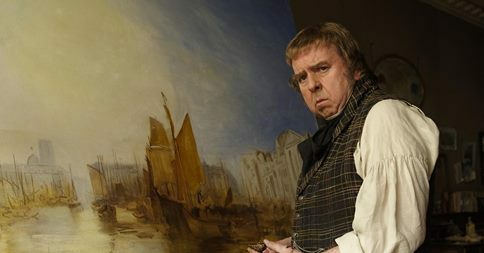 Turner dominates all those around him and Timothy Spall embodies this character. Giving an enthralling performance. All the characters are exceptionally well drawn and acted. There are no Hollywood botoxed faces here! Mr Turner strides along with his artist satchel throughout. His idiosyncrasies giving some audience members to suggest the artist was in some way autistic. His social skills are certainly lacking but his ambitions and compulsion to draw what he saw were his overriding passions. 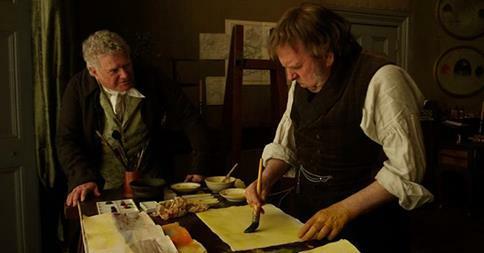 The film has a subtle humour in the incisive comments of Mr Turner. And is beautifully scripted. There is some examination of Turner's relationships, which he tried to keep out of the public eye. The slow courtship of his mistress, Mrs Booth in the seaside town of Margate. It is unclear what the various women saw in him and his clumsy, awkward groping. This is not a sanitized account of the artist. It is refreshing to see such honesty on screen. The film is visually rich with lush cinematography. But could have been abridged while still giving the same aesthetics and story. Perhaps the viewer does not need as many trips to Margate. But I dare not begrudge this beguiling British drama. I would gladly immerse myself again in the world of 1800's Turner and his visionary landscapes. The Australian release date for Mr Turner is Boxing Day, December 26th.